The Motiv Shock Single Tote is a great bag for carrying one bowling ball, a pair of shoes, and some accessories. The bag has plenty of durable features that will allow it to stand the test of time. 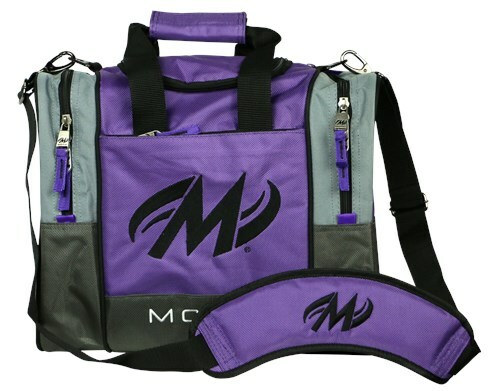 Due to the time it takes to produce the Motiv Shock Single Tote Purple ball it will ship in immediately. We cannot ship this ball outside the United States.